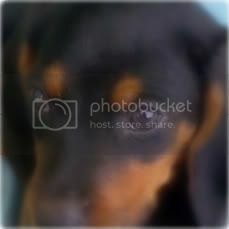 The Black and Tan Coonhound was bred to drive game up trees and is descended from the Talbot hound and the Bloodhound. The black and tan coonhound was the first to be recognized as a different breed than the foxhound. During the 1700s the breed was used by scouts and Indian fighters. Today, coonhounds are still used as hunting dogs for various types of game as well as loyal companions. 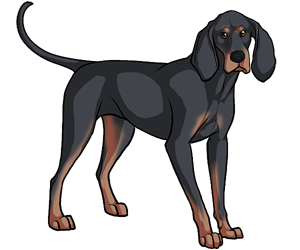 Coonhound owners can often recognize individual coonhounds by their distinctive voices. Black and Tan Coonhounds hunt almost entirely by scent. Although originally bred to hunt raccoons, the breed has also been known to hunt larger prey such as cougars, deer, and bears.